I think this photo says it all really. It takes mere minutes for that crimson ball we call the sun to sink beneath our horizon, but in that moment, time stands still. I’d never seen a sunset quite like this before, and haven’t since. 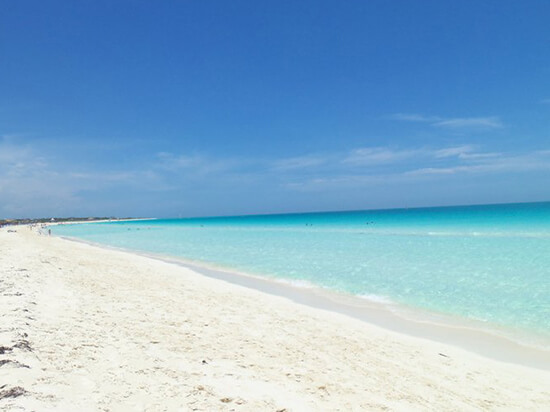 Crystal-clear and fringed by pillow-soft, bleach-white sands, swimming in the Caribbean Sea around Cuba is like paddling in an infinity pool that really doesn’t ever end. Look out for schools of long-nosed garfish frequenting the shallows. 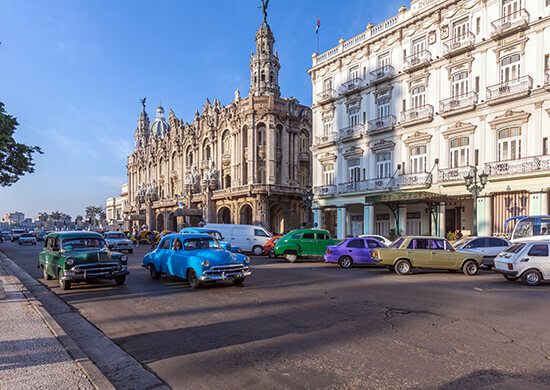 Havana has to be seen in person to really be appreciated; photos just don’t do the colonial buildings, multi-coloured streets and the vintage motors – complete with intoxicating fumes – justice. It’s a city that, in its current state, could never have been crafted by any architect. Today its design is a result of years of neglect, with colours so wonderfully faded that you’d think the sun had weathered them on purpose. And then there’s the salsa: with abundant clubs, Havana is where the music and dance is at its most prevalent and raw. Speaking of salsa, Cuba offers some of the best live music in the Caribbean. 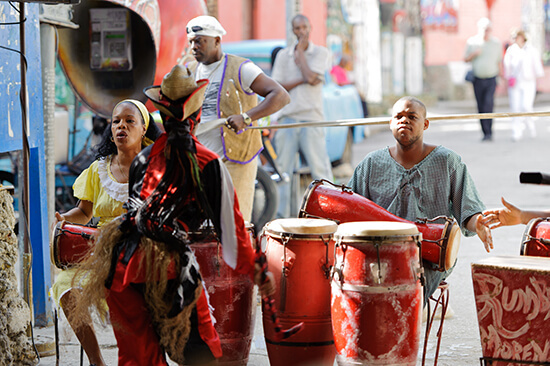 Frenetic salsa, rumba, mambo and Latin jazz rhythms erupt from vibrant venues – experience Afro-Cuban music and art at its best in Callejon de Hamel, a charming central Havana attraction where the party starts at noon. Cuban street food is tasty – try tamales, manis (roasted peanuts) and Cuban pork sandwiches, served with onions, cheese and plantain. But that’s not all. If you’re going all-inclusive, even the stuff in your resort is good. 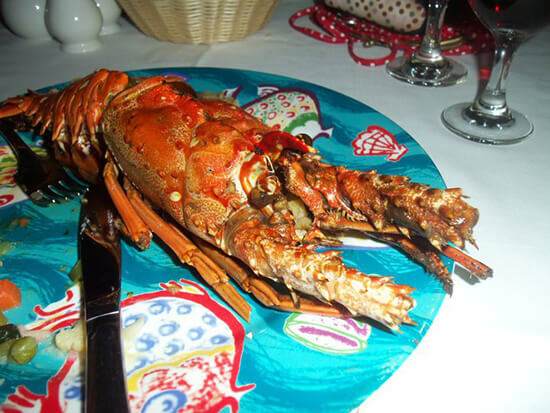 Check out the lobster (above) that we enjoyed at our hotel when we visited Cuba in 2011. 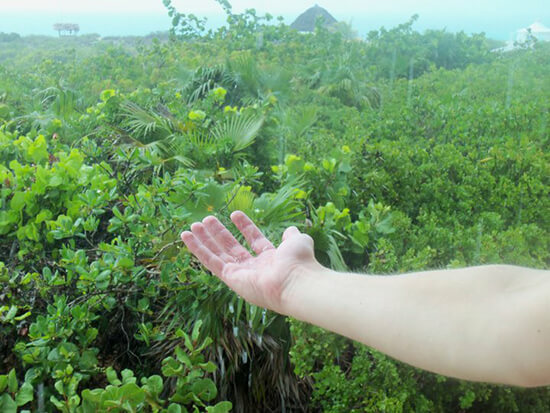 The sun in Cuba is glorious, but the rain is too. Unless I’m en route to an important meeting or social affair, I’ve always been a big fan of a torrential downpour. Cuba has plenty of those. These tropical thunderstorms come on with virtually no warning – the clouds shift from light blue to dark grey in a matter of moments, the calm waters get rough, and golf ball-sized droplets of water cascade from the sky. Chuck in a bit of thunder and lightning and you’ve got an amazing display of nature at its very best. Ready to fall head over heels for Cuba? Speak to one of our Travel Experts about booking your tailor-made holiday to this Caribbean gem today – we recommend our Beautiful Cuba Journey.